The Montes Law Firm represents men and women pursuing paternity actions under the California Family Code. Attorney Montes is committed to coming up with a solution that works for you and your family situation, whether it’s a paternity case in court, a voluntary paternity agreement, or another arrangement. She has the experience and legal knowledge to draft a binding paternity agreement, represent your interests in a paternity case, and fight for your rights. Call 714-731-8600 or contact The Montes Law Firm online to schedule a free consultation to discuss paternity under California law. Many men believe that having their name on a child’s birth certificate provides them with legal rights to the child. However, when a child is born out of wedlock, the state requires a man to open a paternity case to establish his legal rights to the child. Many of the presumed parentage circumstances are common sense, but “parentage by estoppel” can be somewhat complicated. In these cases, there was no marriage or well-established intent to marry, but the father has treated the child as his own for a substantial period of time. Therefore, the court can find that this man is the legal father—even if he is not the biological father. For example, say Melissa and John have a son after being together for two years, but they choose not to get married. Melissa and her son have lived with John for the child’s entire life, and John has provided for the child financially the whole time. Therefore, he is presumed under California law to be the child’s father. If you have questions or concerns about parentage by estoppel and the legal requirements involved, contact The Montes Law Firm today. Child support: If the parents are not married at the time of the child’s birth, there must be a Declaration of Paternity before the father is required to pay child support. In other words, a mother cannot pursue a court order for child support until the father is legally recognized. Visitation and custody: Similar to child support, the father is not legally entitled to visitation or custody until he is recognized by the state of California as the child’s father. Access to records: Without being recognized as a legal parent, the father will not have access to family medical records or medical history. Insurance coverage: Establishing paternity allows the child to benefit from the father’s health insurance and life insurance policies. Inheritance: Without a legal record of parentage, the child may not be entitled to inherit the father’s assets. Federal benefits: Establishing legal paternity entitles the child to Social Security and veteran’s benefits, if applicable. As mentioned above, informal arrangements may work for a period of time. However, it is important to keep in mind that the situation can change and relationships can deteriorate; if this happens, it is important to know your legal rights as a father—or the legal responsibilities of the father—are stable. For example, say Jack and his longtime girlfriend have raised their son together for several years, but they have never married; if he up and leaves one day, he may not be legally required to provide financial support for the child because he is not legally the father. 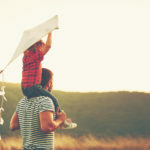 By establishing paternity, even when the current parenting situation is working, you can protect the legal rights and responsibilities that come with being a father. Court order: Either parent can start a case to establish parentage, depending on the circumstances involved. In some cases, a mother may want to establish parentage in order to collect child support or compel the father to fulfill his parental duties. In other cases, a father may try to establish paternity so the child can benefit from his insurance, so he can access the child’s medical records, so he has legal visitation or custody rights, or for another reason entirely. Declaration of Paternity: Signing a Declaration of Paternity is voluntary, so it requires that the father agrees he is the child’s parent. This document can be signed at the hospital when the child is born, which allows the father’s name to be added to the child’s birth certificate. It can also be signed later on in the child’s life and then filed in court, where it becomes a legal recognition of parentage. Once this Declaration of Paternity is on file with the court, the father will have all the legal rights and responsibilities of a parent, and a judge can make orders for custody, visitation, and child support if needed. Attorney Amy M. Montes is known for her holistic approach to family law issues. She maintains a balance between aggressive representation, creative solutions, and a thorough knowledge of the California Family Code. As an experienced family law attorney, Montes understands that certain situations require litigation and trial, and she fights to protect her clients’ rights throughout the entire process. 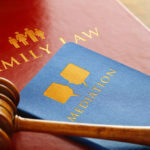 However, in other cases, she works to come up with creative and unique solutions that work for your family law matters. Attorney Montes is a 2005 graduate of Whittier Law School in Costa Mesa, California, and she has obtained results for hundreds of clients throughout California in the past decade. She is a member of the Orange County Bar Association, Los Angeles Bar Association, Women Law Association, and the Hispanic Bar Association. She served as president of the Orange County Barristers in 2009, and she was featured in the February 2009 issue of Orange County Lawyers magazine. Attorney Montes works at domestic violence clinics and works within the legal community to transform legal policy in her free time. The Montes Law Firm are proud to represent the men and women of Orange County in all family law matters. If you are pursuing a paternity action or are interested in learning more about the process, we can help. Attorney Montes is committed to understanding the nuances of your case and determining the best course of action for your unique case. She has the experience and skills to create a well-drafted paternity agreement, represent your interests in a paternity case, and fight for your rights. Call 714-731-8600 or The Montes Law Firm online to schedule a free consultation about your paternity issue or other family law matter. Do not hesitate to contact our firm to arrange a free consultation to discuss your situation. We can be reached 24/7 at 714-731-8600.